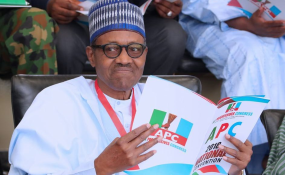 Abuja — President Muhammadu Buhari said, Sunday night in Lome Togo, that he decided to take a second shot at the Presidency because Nigerians were solidly behind him. According to him, "I am not bothered about the defections. Ordinary Nigerians have developed confidence in us and are defending us. I assure you, majority of Nigerians back home are appreciative of our efforts."